With more than two thousand years of grape growing and winemaking history, and as the country with the largest planted surface of vineyards in the world, approaching Spanish wines for the first time can be quite intimidating. Different regions, climates, varieties, regulations,… yield different styles that can gratify very divergent palates. Familiarize yourself with the main categories, regions and other terms through this short synopsis; yet be advised: this is only an introduction. There is a lot more to learn about Spanish wines! The word “red” is used across the board when talking about wines made with red grape varieties (“rouge” is the word in France, “rot” is used in Germany, “rosso” in Italy, etc.) except in Spain, where we use the word “Tinto”. Tinto comes from the word “tinte” which literally means “dye”. The use of this word responds to, according to myth, the high taxes wine dealers were forced to pay for white wines, which at the time were considered better and more drinkable than reds. Some of the less scrupulous merchants would use red “dye” to color their white wines red in order to pay less taxes and the word stuck… Just remember, when in Spain, don’t use the term “vino rojo“! Spanish wines are traditionally marketed using regions instead of grape varieties. The wines are classified according to the quality pyramid that regulates all wine made in the European Union. These terms, found on the label, establish certain quality requisites and protect the wines made in premium regions. Vino de Mesa: This is the base of the pyramid, with the lowest level of protection and regulation. They are divided into two categories: Country Wines (made anywhere in Spain complying with viticultural and oenological standards) and IGP wines (Protected Geographical Indication) also known as Vinos de la Tierra (at least 85% of the grapes must be grown exclusively in the region where the wine is produced). There are 46 IGP regions in Spain, in the label you will find, for example: “Vino de la Tierra de Extremadura”. Vino con Denominación de Origen: 100% of the grapes used to make the wines must be grown exclusively in the region. These wines are divided into three main categories: first, wines with Denomination of Origin accompanied by the name of the region (this is comparable to the AOC category in France, for example, D.O. Valdepeñas or D.O. Cigales). These are marketed with a degree of prestige as coming from the region stated on the label. These areas are regulated by a Consejo Regulador or administrative regulatory body, whose job is to certify that the wine complies with the region’s winemaking rules. Spain has 66 Denominations of Origin. D.O.Ca. wines (Qualified Denomination of Origin) are accompanied by the name of the region (for example, D.O.Ca. RIOJA or D.O.Q. Priorat) and must have complied with D.O. regulations for at least 10 years. They are generally made with native grape varieties to each region and are produced in highly regulated winemaking environments following strict rules regarding methods of viticulture, wine production, and aging. Strangely enough, one of these requirements is that the wines from a DOCa region have to be sold at least at double the price of a wine from a DO. Spain has two DOCa regions: Rioja and Priorato. In order to supervise and classify some of the more experimental and forward-looking producers, in 2003 Spain introduced a new tier in the classification with the “DO Vinos de Pago”, or Single Vineyard Estates. Spain has a total of 14 “Pagos” or estates. These can exist outside established regions and have total flexibility: they are allowed to set their own rules! 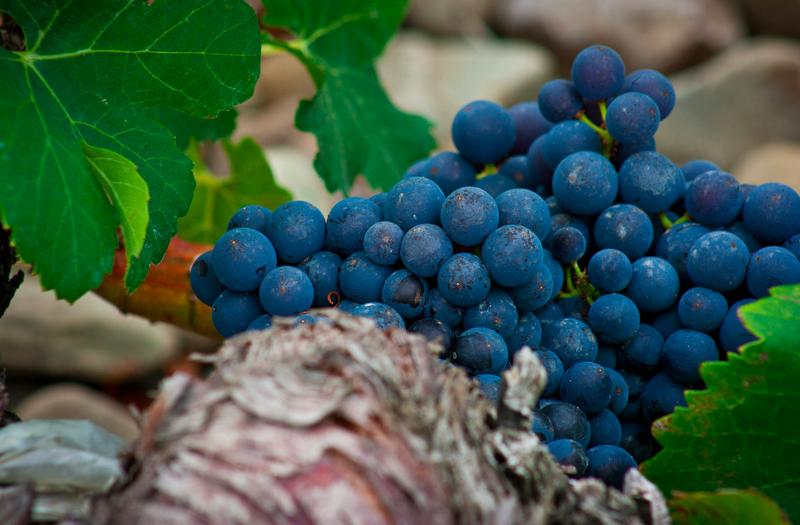 Joven (meaning “young”) or Cosecha/Cosechero (meaning vintage), are wines that have minimal or no oak aging at all. They are generally fermented in stainless steel and are all about fruit, designed specifically for fast and easy consumption. Barrica (meaning “barrel”) or Roble (meaning “oak”) is the next category. Also young, these wines have been lightly aged in oak (generally between 3 and 6 months). They are also fruit-forward, yet introduce some secondary toasted wood aromas. Crianza (meaning “aged” or “nursed”) are two-year-old wines with at least six months aging in oak. The more premium DOCa regions require 12 months in oak for a wine to be labeled under this category. They are structured, clean, balanced and fruity on the palate yet also contain varying degrees of charred flavors from their aging in oak. They can last considerably longer than the previous categories. Reserva (“reserved”) wines are aged three years with a minimum of one year spent in oak (although most producers frequently age them considerably longer). This style is more developed and introduces the famous tertiary aromas product of their longer bottle aging (earth, mushrooms, etc.) These wines have less noticeable fresh fruit yet more finesse and aromatic intricacy. Gran Reserva (“gran” meaning “great”) wines are the top of the ladder regarding aged wines. The minimum requirement for a wine to be labeled so, is a 5-year-old wine with at least two years in oak barrels (again, many producers age them for far longer). Gran Reservas are generally made only in the best vintages with the best fruit available. Designed to last for decades yet released only when ready to drink, these wines are the paradigm of the Old-World style: soft fruit, elegance, finesse, subtlety and highly developed tertiary aromas (tobacco leaf, leather, dried leaves and flowers, wet earth, … like a walk in the woods in the fall!). Don’t feel daunted by Spanish wines or influenced by the labels, in the end, they are just vehicles for transmitting information; whether it’s a simple and quaffable Vino Joven or a concentrated Vino de Pago, the first rule when drinking Spanish wine is… I like it! That said, why not join us in for a customized tour of Spanish wine? Whether you adore hearty red wines from Rioja, vibrant bubbles from Cava, perfumey whites from the Penedes, or wildly diverse wines from Andalucia, contact us for a personalized tour for you.